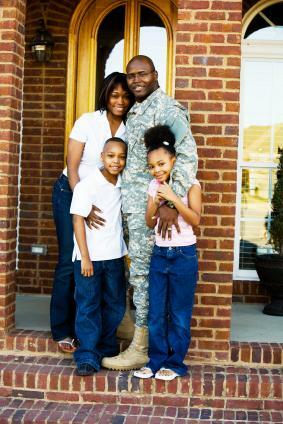 There are several options for obtaining a home loan for veterans. The government offers benefits and loans to buy a house for disabled veterans. What is a Disabled Veteran? The definition of disability in America's veterans varies. The U.S. Department of Veterans' Affairs (VA) assesses physical and mental disabilities caused by events that occurred while in service of their country. There are two disability programs established by the VA -Disability Compensation and Non-Service Connected Pension. This program is for veterans who have injuries or psychological disorders that were caused or got worse while in the military. There are different levels of disability for disability compensation ranging from 0-100 percent. A rating of 0 percent may have a service-related disability that does not interfere with daily functioning; a veteran with 100 percent may have problems with everyday functions. This is a pension that was established for low-income veterans who became disabled through an event that occurred after their military service. Veterans who receive this have to be very needy and have served during a recognized period of war. Qualified veterans may be eligible for four times the basic veterans' entitlement in a loan with no down payment; generally this amount is limited to $417,000. In states with higher real estate costs, the veterans may be eligible for a no-down-payment loan of $625,000. The changes to the maximum entitlement are announced in November and December of each year. If the veteran sells the house and pays off the loan, he or she is eligible for a new entitlement and another VA loan. A VA loan may also be used to refinance or improve a home that is already owned and occupied by a veteran. To be eligible for a VA home loan, the veteran must have served for at least 90 days during war or 181 days during peacetime. A reservist can also be eligible for a loan after 6 years in the Reserve or National Guard. There are also rules for veterans with prior active duty and spouses may also be eligible if the veteran died as a result of their service. Disabled veterans who were discharged due to service-related disabilities do not have to meet the time-served requirements. These veterans are also eligible for additional benefits when obtaining a VA home loan. The VA loan funding requirement may be waived. In some states, property taxes are waived for disabled veterans. There are several regional loan centers where both disabled and non-disabled veterans can get help when applying for a VA loan. Each of the eleven centers services a specific portion of the country. A veteran should contact the nearest VA loan center to obtain a list of approved VA lenders. A certificate of eligibility will be needed to show that the veteran is indeed a veteran and a disabled veteran. Although it may take some research to determine actual eligibility and appropriate lenders, loans to buy a house for disabled veterans offer the best options.